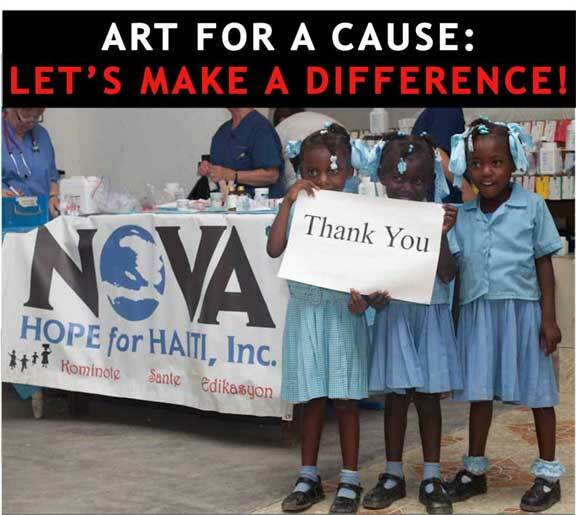 Domus has been supporting NOVA Hope for Haiti for the past 5 years. This great organization provides ongoing, sustainable medical care in rural Haiti, helping thousands of people who would otherwise have no access to a doctor. NOVA Hope’s clinic for an entire month! If you have or make artwork, crafts, paintings, drawings, ceramics, jewelry or artistic pieces of any kind, please consider donating them! ALL proceeds will go to support NOVA Hope. Come for a glass of wine and stay for the art! You will have an opportunity to meet the artists and purchase exclusive work on display just for this event to benefit NOVA Hope. It’s a WIN-WIN evening! We are excited about these events and appreciate your support! P.S. Help support NOVA by shopping through the Amazon Smile program!